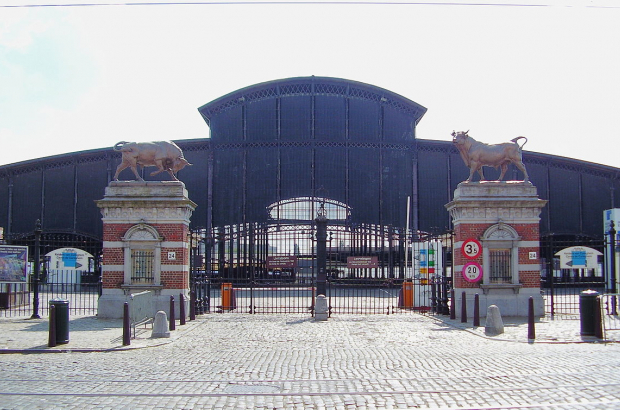 Perhaps best-known for its football club, Anderlecht in the southwest of Brussels is not the most popular choice of neighbourhood among expats, but it has lots to offer, including historical buildings and lots of parks. We asked Bulletin readers to share their experience of living there, from favourite restaurants to queuing at the town hall. One of the municipality’s top attractions for visitors is the Erasmus House, a beautifully appointed 16th-century house once home to the Dutch scholar Desiderius Erasmus, who lived here in 1521. It’s worth a visit to wander the medieval herb garden and gardens created by contemporary artists. The area is also home to the Beguinage Museum, the only surviving beguinage in Brussels and an interesting folklore museum. Built over two centuries, the Church of Saints Peter and Guidon is quite large for a small village, due to pilgrimages caused by Guidon’s fame as a miracle worker. Next to the church, past an 18th-century gate, there’s a remarkable 16th-century style mansion built in the 1890s. Place de la Vaillance is a large handsome Neo-Renaissance square filled with cafes and restaurants. Don’t miss the duck sculpture. And Porselein Street is a charming medieval street with many of the facades embellished by contemporary artists. For your daily bread, head to C’est Si Bon, looking past the nondescript exterior and interior. The baker Christian Pelej spent years as an apprentice in France and Germany. Friture René, meanwhile, is a much-loved restaurant serving steaks, mussels and legendary frites. Anderlecht has many fine parks but Forestier stands out. A cemetery from 1854 to 1967, it was then converted into a park. All the trees were kept, as were the vistas of hills and dales, and it boasts 280 remarkable examples of various types of trees in dramatic and intimate settings. To the west, Rue du Pommier is mostly made up of farms, including Fruit Time (pictured), where you can pick your own strawberries, raspberries and flowers all summer. Tip: pick up a jar of their outstanding homemade raspberry jam. Also in this part of town are De Notelaar, a country restaurant serving Belgian specialities with a large terrace, and In Den Appelboom, a country restaurant in a lovely old inn building, with garden seating and a children’s playground. Along the Neerpede Valley, on the outside of the Ring, there are large ponds with nature trails and various sporting clubs. Chalet de la Pede has a large terrace with views of the ponds. Under the Ring, the Neerpede Park becomes a mindboggling art landscape with hundreds of the columns supporting the Ring covered in street art. There’s no tagging here, just splendid art. And on the inside of the Ring the name changes to the Parc des Etangs, a string of parks and ponds filled with wildlife that ends at the stylish 1950s vintage Anderlecht miniature golf. Favourite spots: Abattoir market, Park Astrid, Kantine du Canal, Forestier Park, De Koer playground in the summer at the Academy of Visual Arts, Erasmus House, Westland shopping centre, the canal, Cercle des Régates rowing club, traditional Belgian restaurant Chapeau Blanc, Espace Maurice Carême library, and the little streets around the Saint-Guidon church.